The rainy season in the Chihuahuan Desert brings out flowering plants of all descriptions. The sheer numbers of Shrubby Senna, Trumpet Flowers, Skeletonleaf Goldeneyes, Broom weed, and other yellow flowers can be so overwhelming that it is easy to overlook the many small wildflowers at our feet. 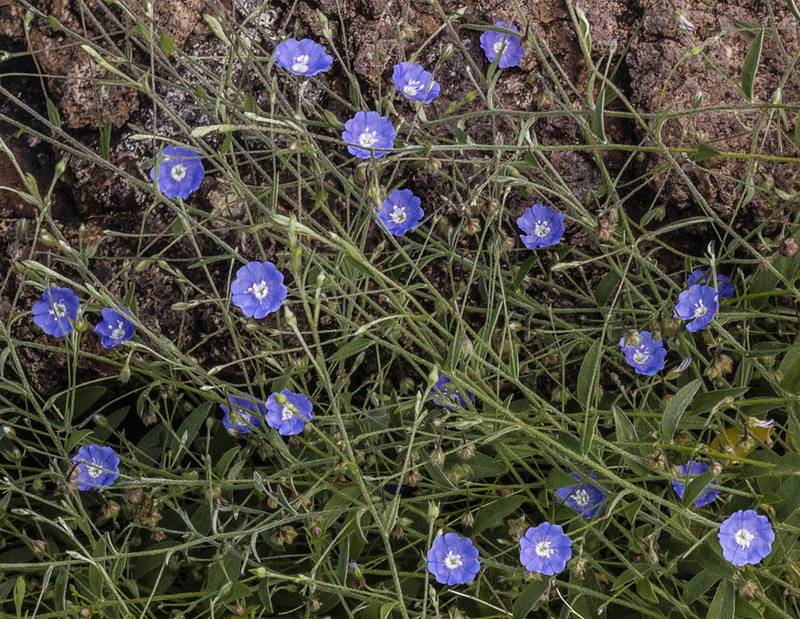 One such easily overlooked plant is Slender Evolvulus ( Evolvulus alsinoides), a tiny blue sun-loving morning glory that grows on gravelly soils throughout the mountains of the Big Bend. The stems seldom reach over a foot in length, the leaves are about half an inch long, and the azure blue blossoms are less than a quarter inch in diameter. You’ll need to get close to the ground to enjoy the beauty of this small gem. The species grows in many places around the world and is appreciated for its medicinal properties. It is used in East Asia, India, Africa, and the Philippines to treat a variety of medical conditions and has a long tradition of use in Ayurvedic medicine to improve memory and boost intellect; pre-clinical research seems to justify these claims. The plant’s small size makes it somewhat impractical to harvest for home use, but it is grown as a commercial crop in India and can be bought in quantity from herbal shops that sell Ayurvedic herbs, where it is called Shankhapushpi. Who knows? 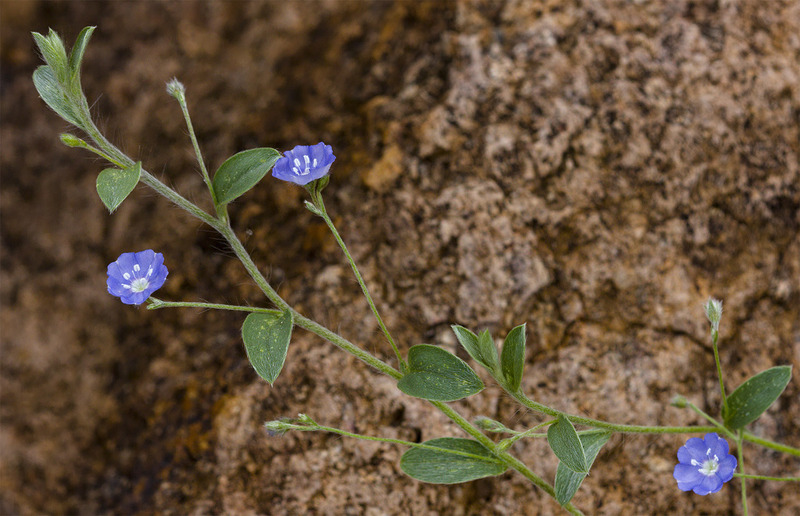 This tiny plant may one day bring big benefits to aging baby-boomers with failing memories. This entry was posted in General Topics, Plants and tagged Evolvulus alsinoides, nootropic-pharmacology, Traditional Indian Medicine. Bookmark the permalink. I do not Twitter. I don’t really do Facebook any more either. Sorry. Like the underfoot flowers of the Big Bend, Arctic flowers also are small and close-growing to the ground, as I learned (and saw) in Alaska. The are typically in the blue to purple range of the color spectrum..
Shankhapushpi sounds like good stuff. I ‘m just gonna go git me some. My brain’s memory function could definitely do with a boost. The West Mary herb shop, God bless her, persists in spite of the rapacious and avaricious growth of the New Austin Virus. I’m gonna get me some too! I always enjoy your posts. Hope to be there in October – I will say hello!